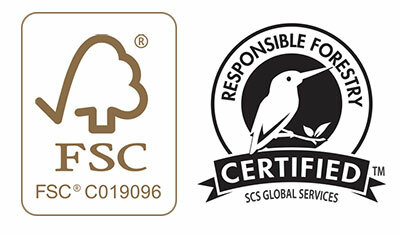 Looking for a promotional product that's got your name written all over it? Then you've come to the"write place! 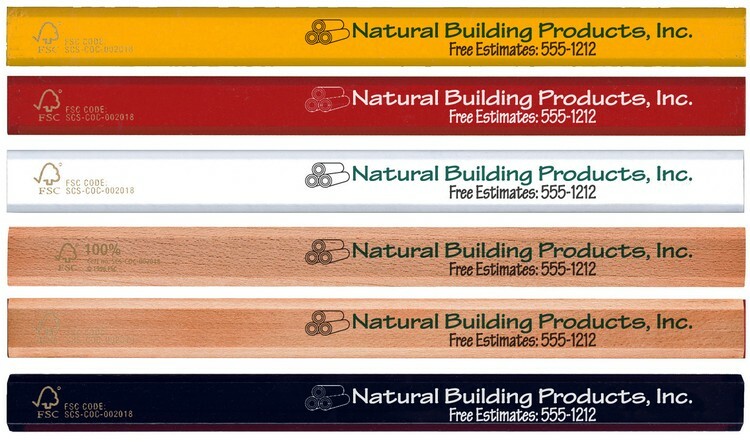 Our International Carpenter (TM) pencil offers great value with a flat barrel core and eight color options. Choose from the variety of colors, add your company name or logo and hand the finished products out at the next tradeshow or fundraiser you attend. What an ideal way to promote a new contracting business or home improvement chain. Flat barrel pencil with flat medium core offers value. 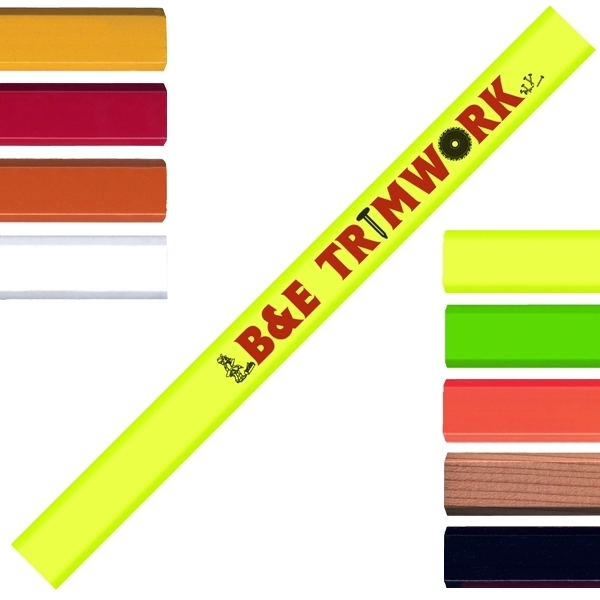 Looking for a promotional product that's got your name written all over it? Then you've come to the "write" place! 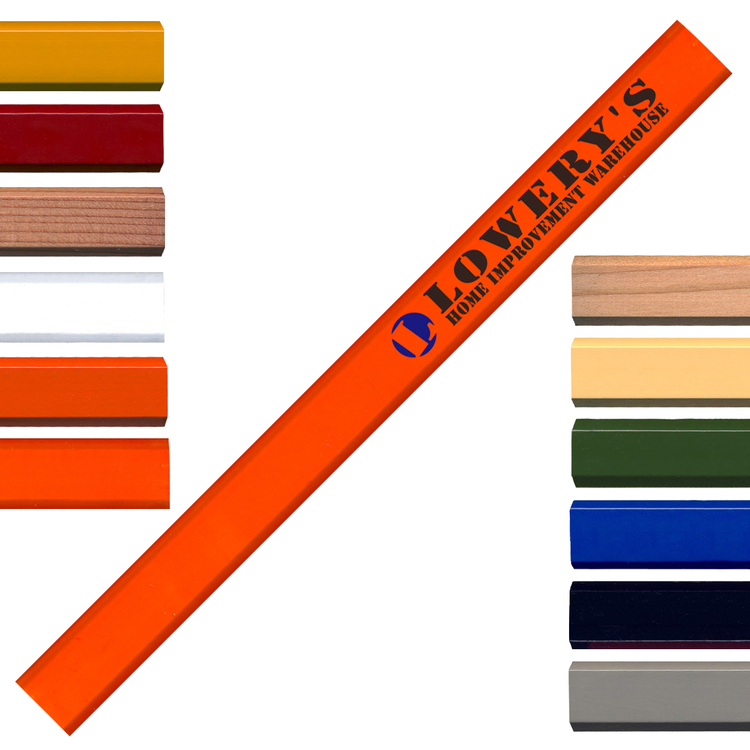 Our International Carpenter (TM) pencil offers great value with a flat barrel core and eight color options. 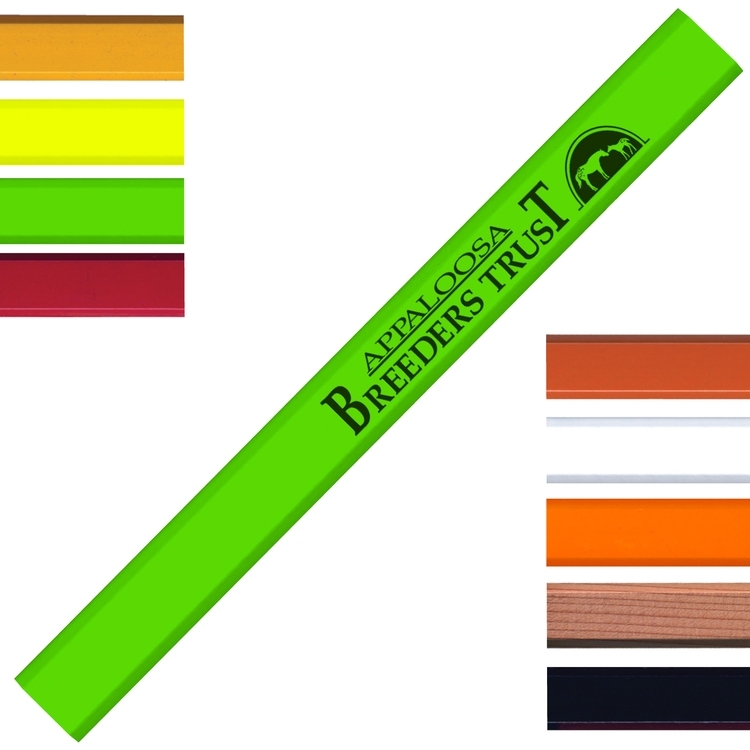 Choose from the variety of colors, add your company name or logo and hand the finished products out at the next tradeshow or fundraiser you attend. An ideal way to promote a new contracting business or home improvement chain. Flat barrel pencil with flat medium core.